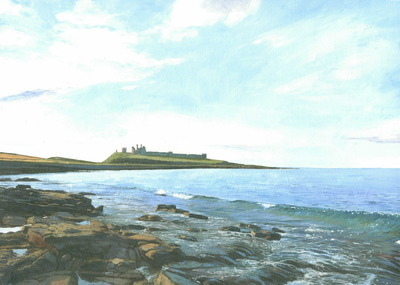 View of Dunstanburgh Castle from the south, Summer evening. Price of £39.00 includes packing and dispatch to UK, please let me know if you require overseas shipping. Supplied mounted and flat, size above. If prefered I can dispatch rolled in a tube, that would be £5.00 less on the asking price, please let me know and make an offer if required.